iMETOS AVA supports farmers in decision making with AI (Artificial Intelligence) algorithms developed for different agricultural applications. On the basis of the type of iMETOS hardware solutions data available and the different additional web services activated for the single user in the web and mobile app FieldClimate, iMETOS AVA can answer different questions. 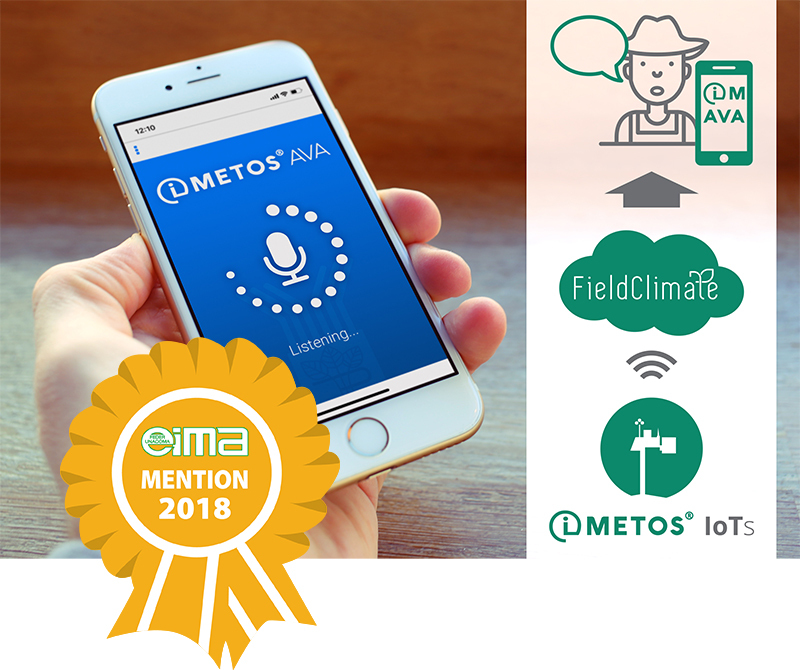 The most advanced AI algorithms are at the moment available for FieldClimate users who access to iMETOS iSCOUT traps for insect monitoring and to iMETOS CropVIEW devices for fruit growth monitoring. AI algorithms are the underlying technology also for decision support solutions for water management. The component of iMETOS AVA dedicated to the irrigation scheduling, based on soil moisture and weather monitoring (some available and some in development), combined with weather data and forecast based reporting tools (for example rain alert solutions) and with irrigation system monitoring sensors, provides a very powerful assistance for the irrigation optimization, as well as a smart interface for automation controllers. iMETOS AVA can give a very strategic help also in plant protection activities, interfacing with worldwide used Pessl Instruments disease models, and also in many other field work practices. In fact, various work planning algorithms based on real-time weather data measurements and hyper localized weather forecast have been developed in the last years and new internet of things solutions, like the iMETOS Object and Active Trackers, provide an excellent data source for farm logistic operations management services. Furthermore, iMETOS AVA is based on reporting tools which compare different stations and field data and consent to notify about priority attentions. Because of that, iMETOS AVA can be very useful for those who have to manage a high number of fields, allowing to save time and to be more efficient. Work Planning algorithms and Trackers.